Here are the last of my Mother's cards. 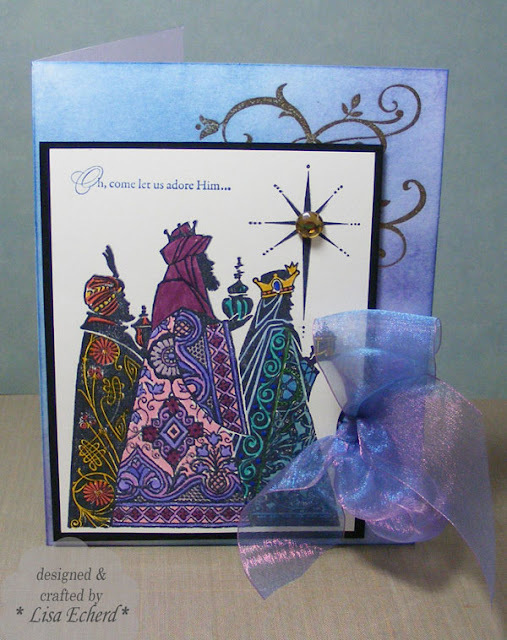 I did 10 of these using Stampendous Cling Wise Men stamp. It takes a full hour to color each one! Fortunately I can do this and watch television. 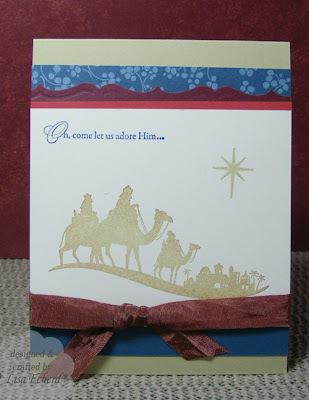 I put them on a larger card so the Wise Men wouldn't be so crowded. The background cards came in a set with matching envelopes. Since they were a plain white, I sponged on Not Quite Navy from Stampin' Up! and Ranger's Dusty Concord over a gold embossed image to dress them up. The ribbon is some organza from Hobby Lobby's fabric section. In my video this week, I mentioned those little gold gems. I was sad to see that Hobby Lobby didn't have any on their racks or a place holder for them that I can tell. I'm going to have to find another source as I'm practically addicted to them for holiday cards. Hope everyone had a Happy Thanksgiving weekend! I cooked, we ate, I decorated for Christmas and made lots of cards. These are part of my Mother's cards for this year. 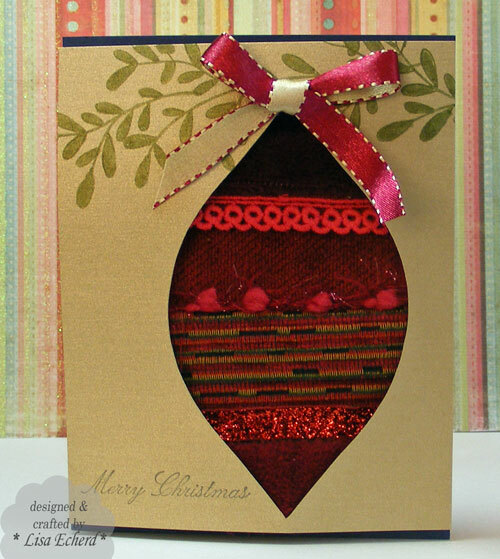 I did a similar card a few weeks ago using fabric and ribbon for the ornament. 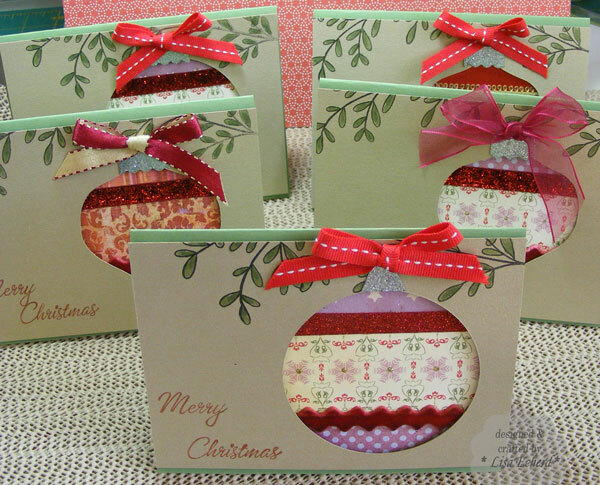 This time I used papers and cut many of the ornaments with a circle cutter. The video shows the entire process. I'm trying to wrap up my cards this week. As always, doing Christmas cards is fun and creative. It is time though to get on to other projects. Ingredients: Stamps: Magic of Christmas by Hero Arts: Four the Holidays by SU! 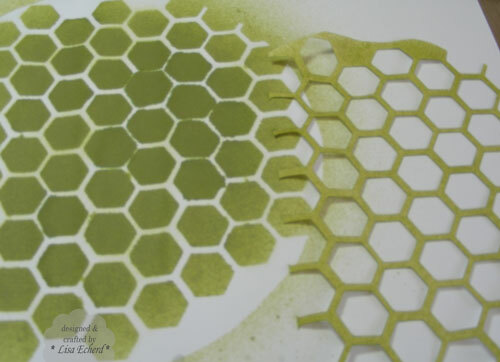 Cardstock: Wild Wasabi and gold from Stampin' Up! It's small business Saturday. Here's where I've been shopping so far. I finally went to a local butcher that everyone raves about and bought several items. The products look so fresh! Then I stopped by a produce market to get a few things. The owner used to be my neighbor and I was going there often but I'll admit I've slipped and just picked up things at the grocery the last few months. Yesterday, I also supported a couple of small businesses with an on-line order at Two Peas. They are having a sale though there seems to be a problem and not everything is coming up on sale. I went ahead and ordered because the October Afternoon stickers always sell out and I wanted to grab them while I could. The sale goes through Monday and Monday they have a special free shipping offer on orders $35 and up, too. After getting my hair cut, I went to a consignment store and found a great pair of shoes that don't look the slightest bit worn. I truly hate shoe shopping so it was a treat to get a nice pair for a good price and not worry that I've invested a fortune in shoes that may or may not be kind to my picky feet. So I've gone to some regular stops, places I hadn't been in a couple of years and one truly new-to-me store - all independently owned small businesses. I hope this Small Business Saturday really catches. Have you shopped this holiday weekend? Here we go with another Christmas card. I'm working this weekend to get my Mother's cards done and a few more of mine. Although I started months ago, the time to get them done has slipped up on me! Our next card class is for holiday cards. We used this stamp set last time and it will be the only repeat. Last time we embossed the image. This time I CASEd the technique from the Stampin' Up! catalog - at least it is what I think they did. I inked the image in a gold color - River Rock to match my background cardstock - then I sponged on a bit of dark brown ink around the edges and stamped. We will have to clean the stamp between stampings but it is a very fast card to put together. I snagged this ribbon at the Mighty Dollar store earlier in the year. The rest are all SU! papers. I'm doing better with my cling stamps thanks to some advice I got on Splitcoaststampers. Press the acrylic block onto the cling stamp and hold for a few seconds to get good adhesion. It really works. Ingredients: Stamps: Come to Bethlehem by Stampin' Up! Last year we spent a week visiting our friends in California. 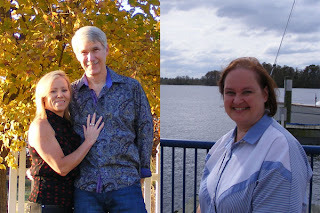 Because of their work schedules and other traveling we did, we were not all four together all the time. There were though opportunities to get a group photo but I missed them all and came home without a photo of all of us together. So this month, when they came to visit us, I made sure we did a group photo on their first day. Self timers are a wonderful thing. So my tip for today is to get your group photos done early in your holiday visiting. It is easy to get busy or to have someone leave early and miss that chance. We did an entire holiday party at my house one year where I left my camera sitting on the mantle the whole night and didn't remember to take one photo! 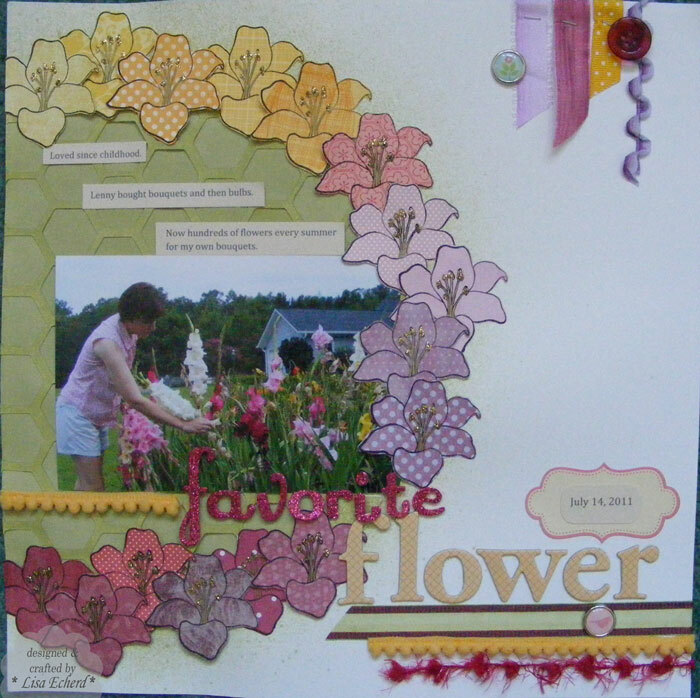 The layout is for the Products You Love class at Two Peas. This month Shannon has us using chipboard. I used to paint raw chipboard for almost every layout. Lately I've been forgetting about it and that is the point of the class to get out those favorite products and perhaps use them in new ways. Well I tried to use this in a new way. 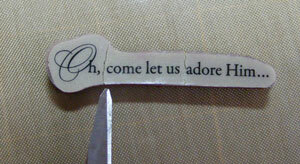 I started by tracing the chipboard on designer paper, cutting it out, and gluing onto the top. I planned to sand the edges and add some paint over the sanded area. I have done this before, I think, but it must have been a simpler image. Sadly, I didn't do a very good job of trimming. No matter I thought, I'll be sanding. Then when that didn't look so hot, I started painting. The paint didn't cover all my mistakes so for some reason I thought a layer of glossy accents would help. That only made things worse. One of the great things about chipboard is that if you mess up the top layer, just peel it off and start over which is what I did. On the second try, I painted, stamped and distressed for a much better - and faster - effect. Since the background paper was so busy, I just did some stitching and added a little ribbon for the remaining embellishment. 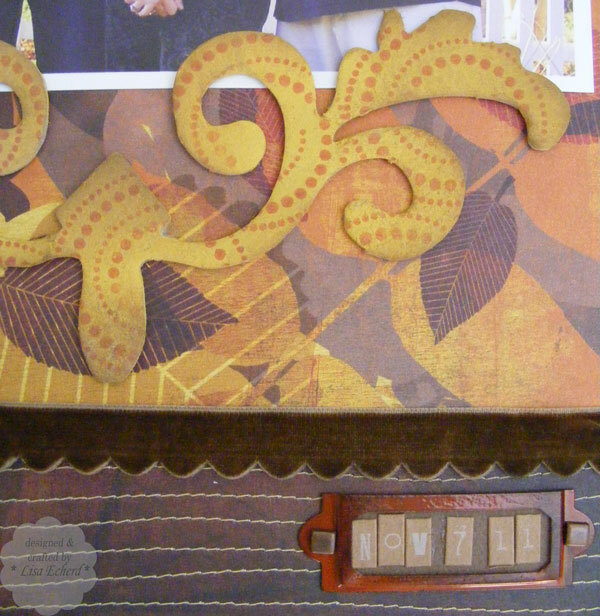 The date is made up of stickers in a Fancy Pants book plate I sponged with Staz-on brown ink to tone down the color. Thanks for visiting. 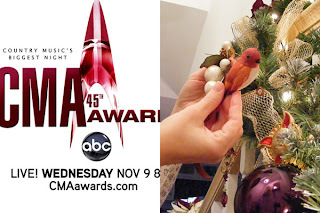 Hope you have a happy holiday with family and friends - don't forget those photos! Shopping on Black Friday - the day after Thanksgiving - has been a national tradition for decades. For most people that means the mall, major electronics stores or discount stores like Walmart and Target. Whether you love it or hate it, it is a huge shopping day for national retailers. A couple of years ago American Express began promoting Small Business Saturday. The idea - shop at a small business on the Saturday after Thanksgiving. I hope you will join me in making a purchase at small business in your area or if you want to spend the day at home - an on-line small business. Skip the nationally advertised chain restaurant and try a locally owned coffee shop or restaurant. 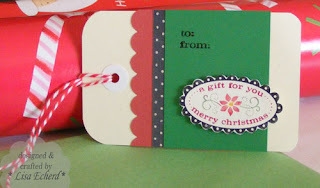 Place an order with a home-sales specialist - Stampin' Up!, Pampered Chef or whatever you favor. Get the oil changed in your car at a local garage. Bypass the "million dollar corner lot" national pharmacy and drive down the street to your locally owned pharmacy to pick up a few things for your medicine cabinet. Tranfer a prescription to your local pharmacy. You'll be relieved to speak to the same pharmacist every time when you have questions. Go appliance or furniture shopping for yourself at a small local store. I always try to buy things that might need to be repaired someday at a locally owned store. The service is so much better and the deal is just as good. Stop by your salon and have a manicure or pick up some styling products for yourself or as stocking stuffers. Grab a couple of paperbacks at your used book store or regular book store if you are lucky enough to still have one. Visit your local florist and purchase a plant or flower for someone a bit under the weather. Drop off or pick up your dry cleaning. Attend a drop-in Yoga or other exercise class (which is what I have planned this Saturday - got to work off that big dinner :-). Don't forget E-bay. You may get a deal and you'll support dealers who make their living doing this or people like you and me who just want to make a few dollars for their own holiday shopping. Shopping local has tons of advantages. One I notice that applies to this busy holiday weekend is location. Most of the small local businesses are no where near the big retailers so traffic should be lighter and that makes for a much better holiday weekend. 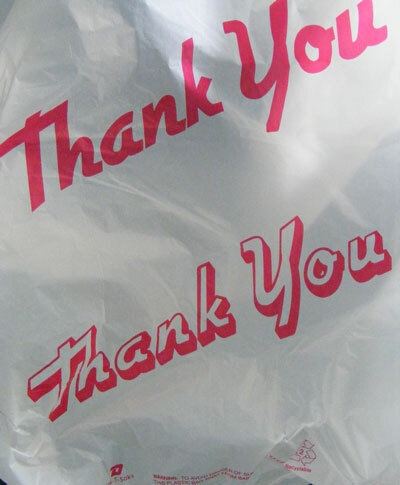 Happy shopping and thanks for supporting my fellow small businesses. I'm working on building up my low "thank you" stash. This card uses a My Mind's Eye 6x6 paper pad - a great option for pretty prints that get too large for cards in regular 12x12 size. There is a lot of gold embossing on that one designer paper. It's hard to see the sentiment in the photo but it says "Thanks So Much." I'd like to start a new tradition on my blog. Whenever I post a "Thank You" card, I want to take a moment for gratitude. So today, I am thankful for my friend Jean who introduced me to Stampin' Up! and really got me going on card making. Making cards is such a wonderful way to get a creative boost. Thanks to Jean and thank you for visiting today! Hope you have a wonderful weekend. Stamps: MME Gertie; sentiment by Stampin' Up! 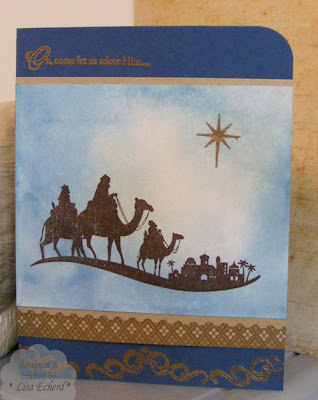 Embossing Powder and paper: Gold by Stampin' Up! 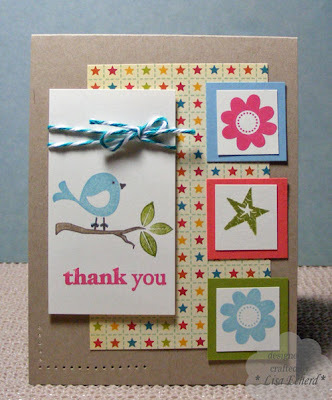 To build up my Thank You stash, I did a few of these using this week's Splitcoaststampers color and sketch challenges. The colors to use were Lucky Limeade, Baja Breeze and Calypso Coral. I've barely touched my in-color paper so these were great colors to use and they sure cheered up a rainy day. We've had a much needed 2+ inches of rain today. I don't have the ink that match these In Colors so I subbed some close colors. 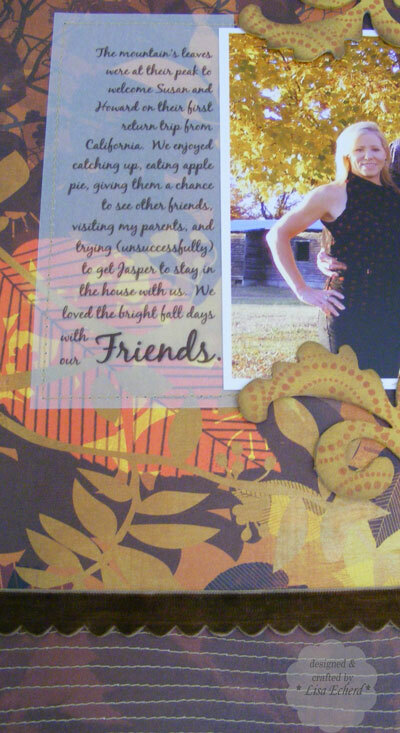 A Thank You card in the month of Thanksgiving makes me think of what I'm thankful for today. I'm thankful for our nourishing rain and that all my loved ones are safe, warm and dry at home. I never buy ready made tags. I always want different sizes and colors for my projects. There are lots of options for cutting these with the Cricut but usually I just reach for a few punches. Here is a quick 2 minute video on how I do tags using punches. Thanks for watching and visiting today! Is this just a custom in the South or does it happen in other places? 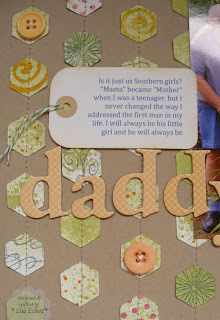 Southern girls often call their father's "Daddy" forever. My Mother went from "Mama" to "Mother" somewhere in my teens. It was my idea and it never occurred to teenage me to ask what she wanted to be called. But I know lots of women both younger and older than I am who still call their fathers "Daddy" not Dad. 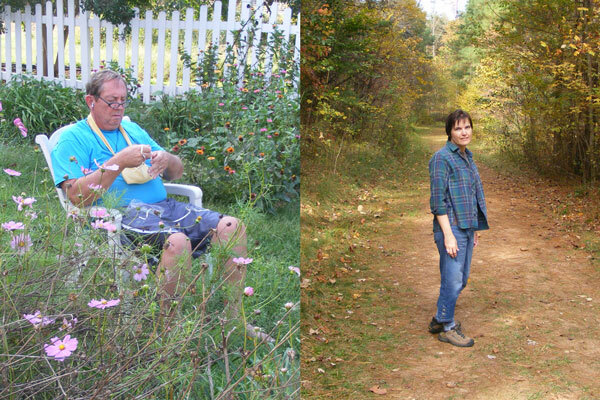 Anyway, even today I have few photos of just Daddy and me. 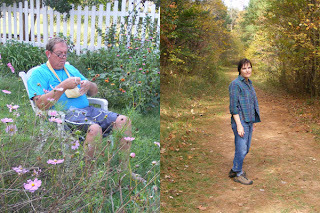 This one was taken this summer beside my Mother's beautiful day lily patch. For the layout, I had all these little hexagon shapes leftover from a honeycomb cut I did with my Cricut last week. I spritzed them with green ink (Peeled Paint from Ranger and water in a mister). Then I stamped some of them with swirls and dots in various colors. I lightly glued them in rows and then stitched in place. I've seen hearts and circles stitched down like this before. Now if you are thinking that this giant photo corner might be there for a reason, you would be right. First I accidentally dipped the corner of the page in an open ink pad on my table. Oops! I sanded off all the ink with an emory board (a trick I learned from my stamping friend Betsy) but that left the paper a bit distressed. So I thought I'd spritz it with a little Buttermilk glaze from Maya Road. It wasn't coming out so good so I dabbed some and basically made a mess. The photo corner is my camouflage. 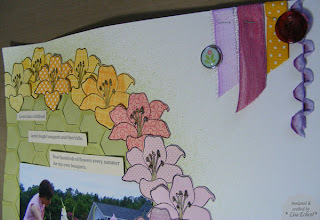 As many crafter say, mistakes are just a good reason for more embellishment. Thanks for visiting today! Tomorrow I have a tip on creating tags. Over at Pals Paper Arts, the challenge this week is to use this photo as inspiration. 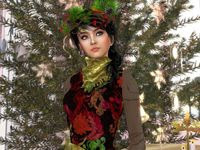 The girl in the photo has a dress made of various fibers. I selected some ribbons and scraps of velvet from a discontinued fabric sample book. 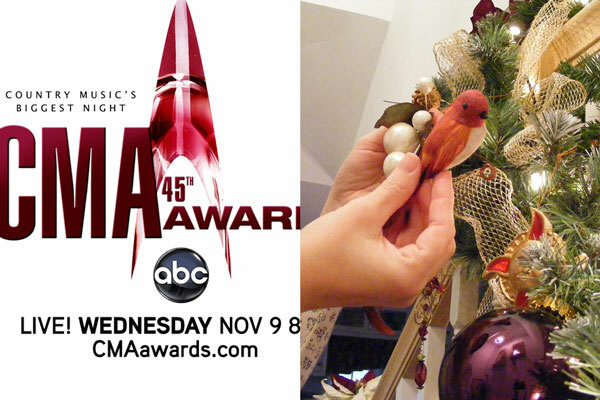 I sewed them together and used as a base for my ornament. 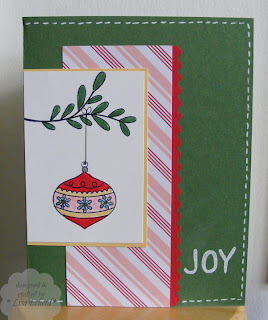 The outline of the ornament is cut on gold Stampin' Up! cardstock on my Cricut using SCAL software. The gold paper is in the accessories section of the SU catalog behind all their regular color groups. It really adds a lot to cards particularly at the holidays. It comes in silver also. I didn't have a spruce like greenery stamp so I used one from Hero Arts that is meant to go with one of their ornament stamps. I'm really delighted with how this card came out. 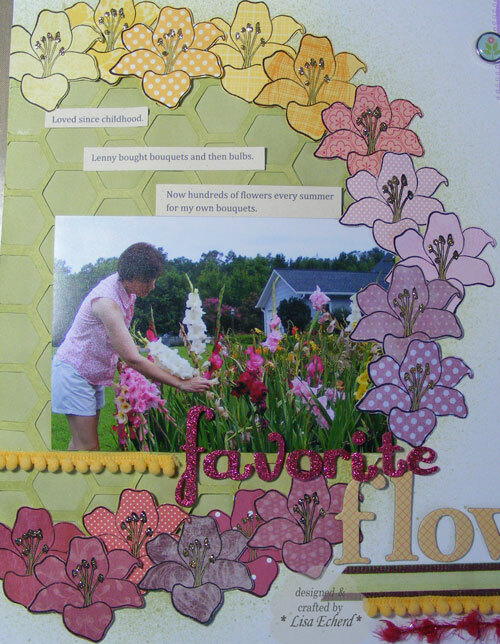 I may do some others in this arrangement using paper rather than fabric to reduce the bulk. I love glads. Have you noticed? My aunt used to grow them in the front of her garden along the highway and I loved all the colors that would show up in the altar arrangements at church. Mother would put flowers in the church for my birthday and I always wanted glads. I had them for both my weddings. Lenny frequently ordered them in bouquets for me, then he started planting them. One year for Valentine's day, he bought us 160 bulbs! The idea was he would plant them for us. Well, real life changed that plan! It was the year of 80 hour work weeks, so I did most of the planting. No matter, they were still beautiful. He doesn't dig them all up every year. He digs up some just in case, we lose a few but not that many as we have nearly 300 bulbs now. 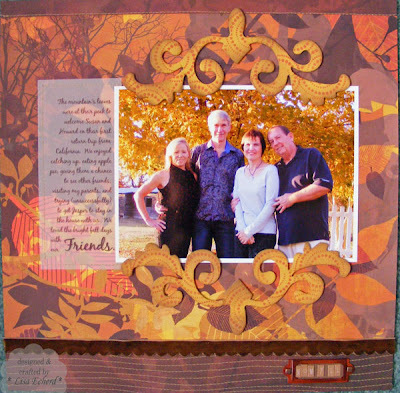 I did this layout for two challenges - Scrapbooker's Anonymous November challenge and 2P's Scrapbook Stamping class for November. For this layout, I cut a mask using my Cricut and SCAL software. 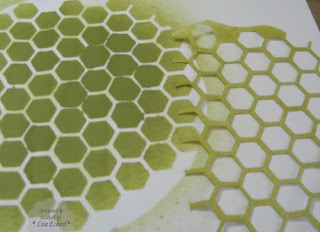 I drew a hexagon and copied it over and over again to create a honeycomb pattern. After spritzing with ink, I peeled back the mask. I just didn't care for the look. But I really did like the look of the mask on top of the spritzing - tone-on-tone in both color and texture so I left it put. This is how it would have looked as a pure mask. 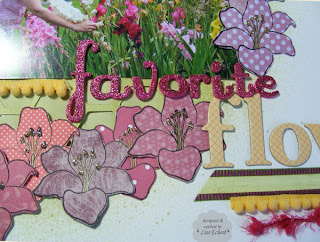 For the remainder of the layout, I stamped a bunch of lily flowers from 5th Avenue Floral by Stampin' Up! I think they look just like the glad individual flowers. These are my stamped and paper pieced flowers for the 2P's class. Scrapbooker's Anonymous challenged us to use 7 different ribbons. 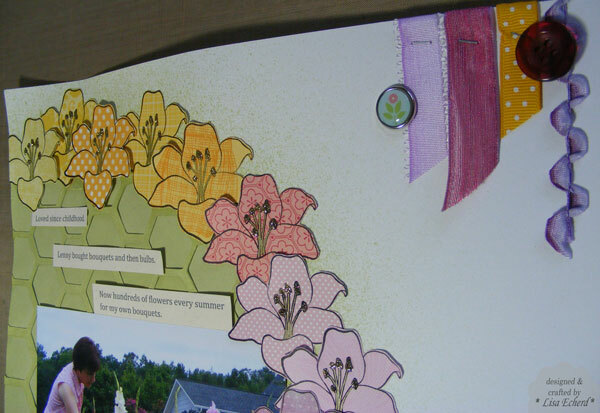 The ribbons gave me a break from all that pattern paper and added a little color on the top and right of the layout. We had our first big frosts week before last so all the blooms are gone off everything for the year. I'll have to enjoy my glads in photos until next summer. 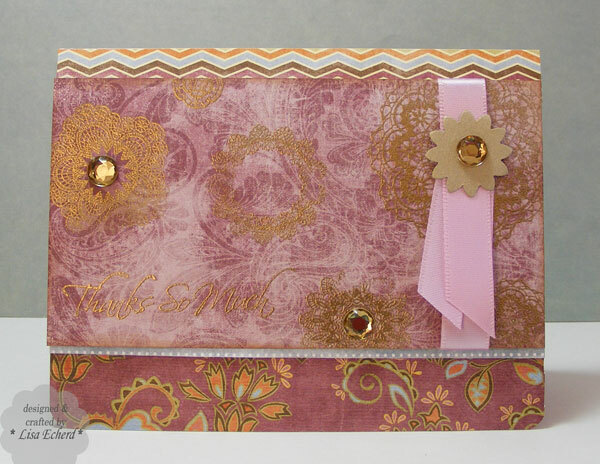 Ingredients: Stamps: Fifth Avenue Floral from Stampin' Up! 2. 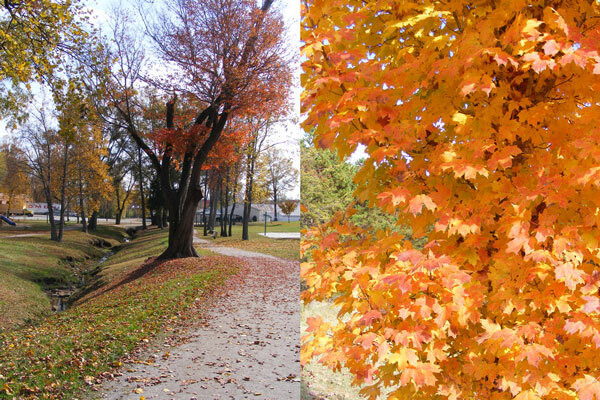 Beautiful fall leaves right in our backyard. 4. Hikes on a local trail. 6. A chance to visit a friend in her new town. 7. 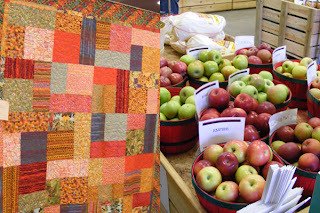 Quilt shows to attend. 10. The chance to soon start my holiday decorating. Hi! We have company for a few days this week and are thoroughly enjoying our visit. I'll be back later in the week with a layout. 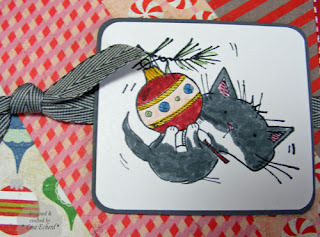 Kristina Werner has been doing her holiday card series. 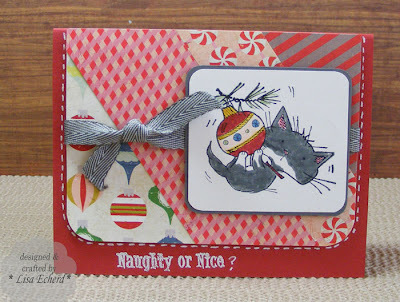 One of her first cards used an Inkadinkado stamp with a kitty on it. I looked for it at Archivers a few weeks ago and they didn't have that one but had this cutie instead. It sure fits my Jasper as he is a playful kitty but usually very nice. 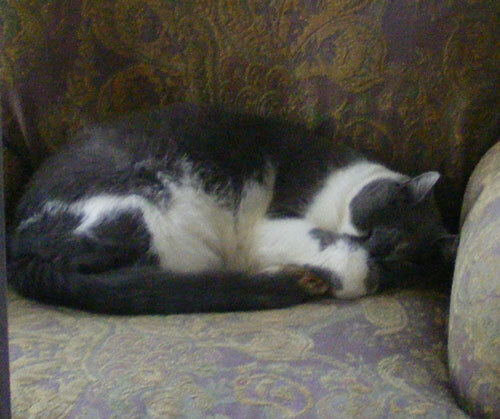 Yesterday, he brought us a present - a dead field mouse - on the back patio. Yuck! Oh, I mean "good kitty." I tried to color my kitty like Jasper but my model was most uncooperative as you can see here. 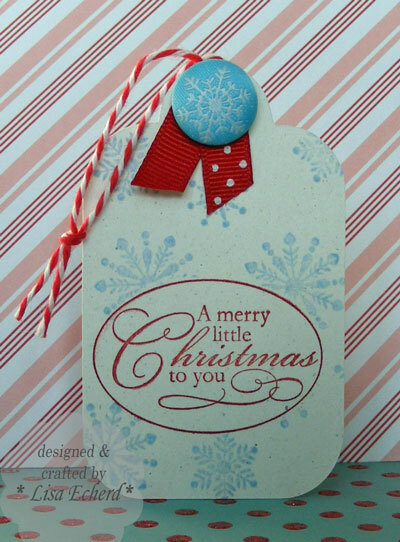 The rest of the colors go with these Crate Paper Peppermint collection papers. I know I'll want to make some more of these when I find more ribbon. This is Basic Grey ribbon and I used every inch I had to make 5 cards. My Christmas card box is filling up little by little. This year, I'm finding doing anywhere from 4 to 10 cards of one type is doable and interesting. Hope you have a great day! Thanks for stopping by. Obviously I'm not contributing this fall but I still love seeing everyone else's pretty and inspiring creations. Quilters from all over the world participate. Projects are basic to advanced, mini to full size. Lots to love for everyone. 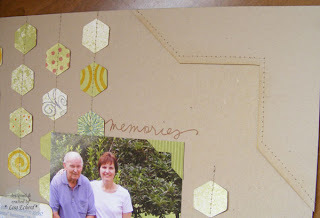 Today's tip only applies to Stampin' Up! "clear" stamp users. Hopefully you won't even need this at all. However, if you ever get a stamp mounted like I did, it might come in handy. 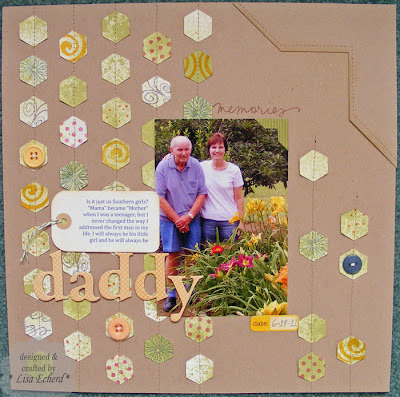 When you purchase Stampin' Up! 's clear stamps (what everyone else calls cling stamps), you must adhere the label to the stamp. When I did this greeting stamp, I got the label on a little too tight so that the stamp didn't lay down quite flat. Whenever, I would try to adhere the stamp to an acrylic block, it would pop back off. That is a problem once you ink up and try to stamp; the stamp drops off the block messing up your paper! Now I kept trying to press the stamp onto the block harder. And you know the definition of stupidity - doing the same thing over and over again expecting different results. Well, finally I tried something different. I couldn't take the label off and redo it, so I used sharp scissors to cut through the label in a couple of places and that helped the stamp to lay flat. Now it doesn't drop off as much - any more than any other cling stamp. These Christmas cards are for my aunt. I'm doing a mass production of about a dozen cards. She only sends a few. The background is created by applying distress ink and a little classic Not Quite Navy to my craft sheet, spritzing with water and then dipping the paper into the ink. I use a paper towel to remove the excess and let it dry. There is quite a bit of gold embossing to make these special without any fancy embellishments. I wanted to keep the flat so there would be no extra postage.